Chills Are Multiplying with the new OPI Grease Summer collection 2018! Who among us has not seen the film "Grease" with John Travolta and Olivia Newton John? Although some may not be old enough to remember the movie or even be a big fan, but honestly who isn’t? 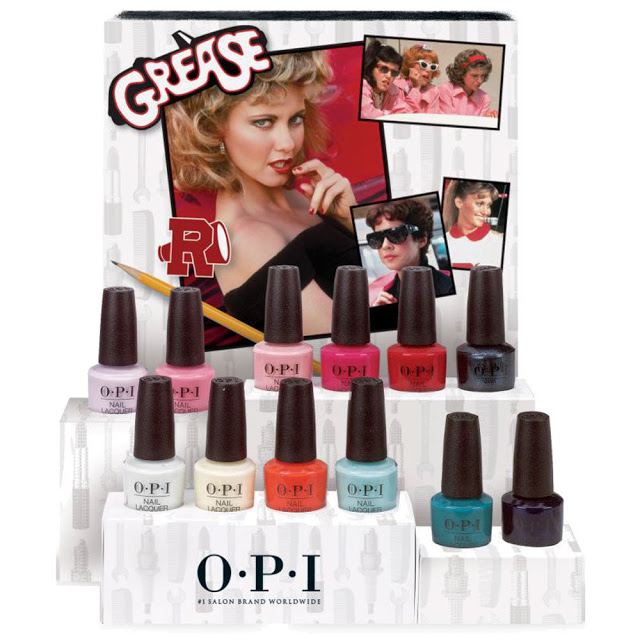 Well the movie celebrates its 40th Birthday this year and to mark the occasion, OPI is launching a special collection of polishes, with hot summer shades and names associated with songs from this immortal film, a collection that will being memories of care-free songs and dance back to life. The collection includes 12 new shades, are all available in Nail Lacquer, Infinite Shine, Gel Color and three shades with a “Leather Like Finish”. 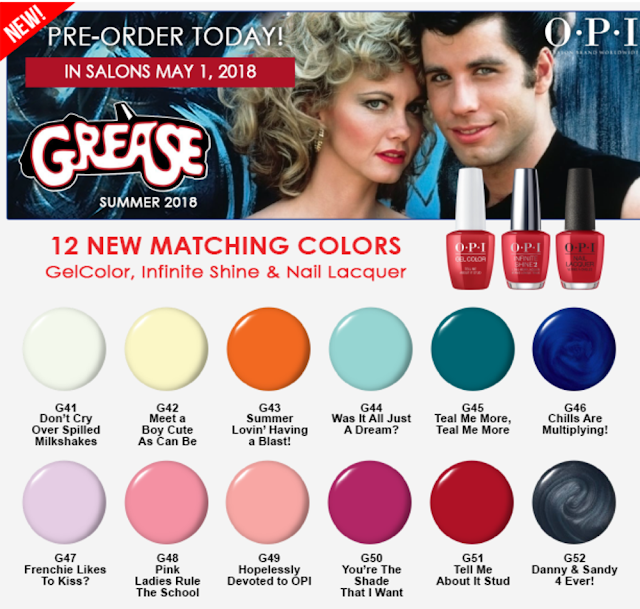 The OPI Grease summer collection will be on the shelves around the world from 1st of May 2018.